While transient trends can be fun to engage with, they don’t provide value over time and there’s no guarantee they’ll even bring results in the short-term. Instead, we’re digging into three trends that are going to give you the most long-term bang for your buck so you get more from your marketing in 2018. Video production in marketing has been a key trend for the last two years, and 2018 is following suit. In fact, video advertising is becoming even more important to marketers now than in years past as 99 percent of them who are using video plan to continue this year. Of those who are not already using video, 65 percent plan to start. 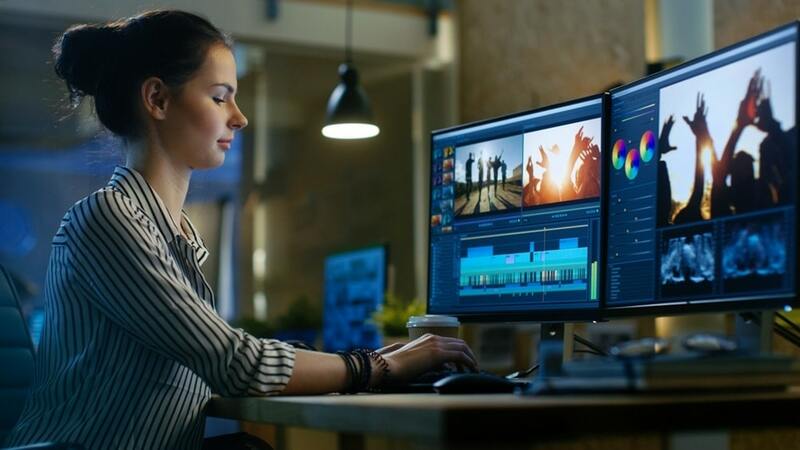 Of course, there’s a good reason for marketers to be so excited about video as one survey found that most people watch about 1.5 hours of video every day, and around 15 percent watch more than three hours each day! These aren’t all crazy fails and kitty videos, either. More than 80 percent of consumers would share a branded video with their friends if they found it useful. Video content doesn’t have to be limited to YouTube channels and social media streams. It can also be used on your website, in emails, and anywhere else on the web. It can be extended, in-depth recordings, 15 seconds of quick info, or anything in between. Customer experience marketing means putting the customer at the center of your strategy, and improving the customer experience stays at the heart of all your marketing activities. Content marketing is already doing this by focusing on consumer questions and needs and providing solutions. Customer experience marketing lets this bleed out into all aspects of your marketing strategy. This approach works because meeting consumer expectations across marketing channels helps build relationships and make emotional connections. It creates experiences that make people feel happy, excited, and coming back for more. You’ll enjoy an increase in brand loyalty and customer retention, higher customer satisfaction rates, a boost in trust, and more insight into your customer’s behavior so you can continue improving the experience. Where customer experience marketing focuses on emotional connections, data-driven marketing focuses on cold, hard facts when it comes to marketing decisions. They’re not quite opposites, however, as data is your ticket to understanding what your audience wants and how to improve customer experiences in meaningful ways. Data-driven marketing will help you not only create experiences for your customers that feel personalized, but it also allows you to take advantage of the latest automation techniques so you’re not spending all day crafting individual messages. It also stresses using data to inform all your marketing decisions--from website design to social media--rather than what you think might work. The benefits here are drawing from an enormous amount of information to personalize your marketing, creating truly seamless multi-channel experiences, and a refined customer experience all around. As a bonus, you can use this data to inform your product development, too. As we move along through 2018, the common theme with any trends will be focused on customer experiences. Today’s consumer tech allows people to be connected in so many ways that connection itself is now ubiquitous. People aren’t thinking about whether they’re flipping through screens on a smartwatch or enjoying the large real-estate of a widescreen desktop computer. They’re just going about their daily tasks and expect you to create an experience that suits their needs at any given moment. Over the next few posts, we’ll get into the specifics for improving your video marketing, how to take a deep dive into customer experience marketing, and how to use data to make better marketing decisions. See you there!